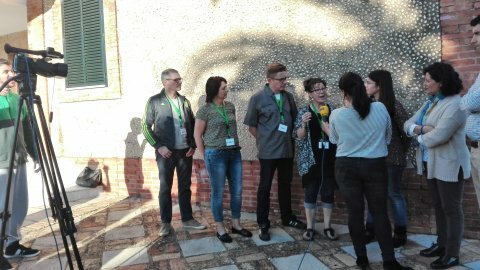 After the meeting in Spain an online cypriot newspaper dealing with educational issues published the following article about our programme. 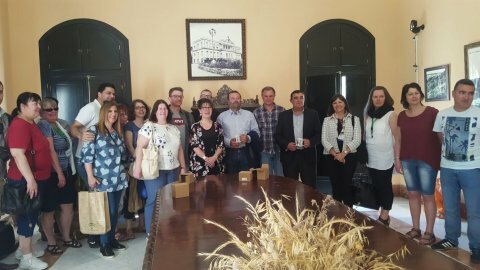 The article refers to the meeting in CPR ADERAN I CABEZAS RUBIAS - HUELVA - ESPAÑA and the activities that took place. 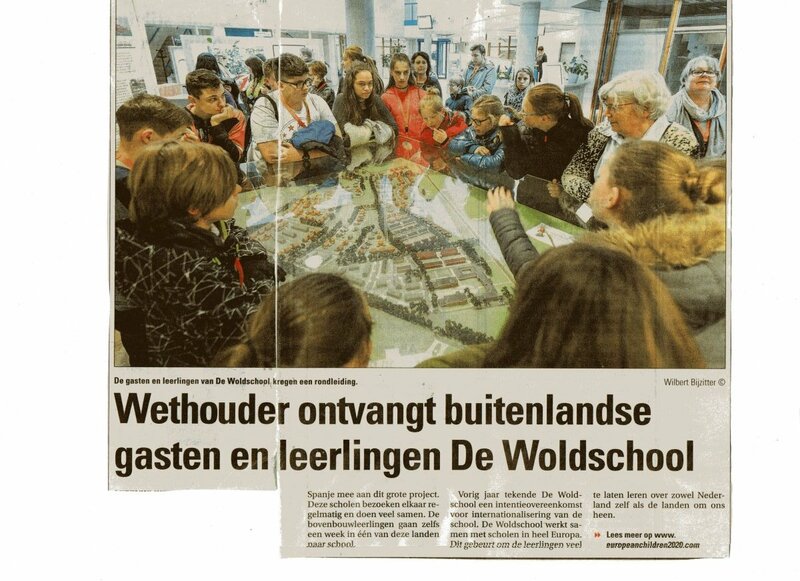 This article is about the meeting with the alderman Mrs. Dieke Frantzen at the city hall. 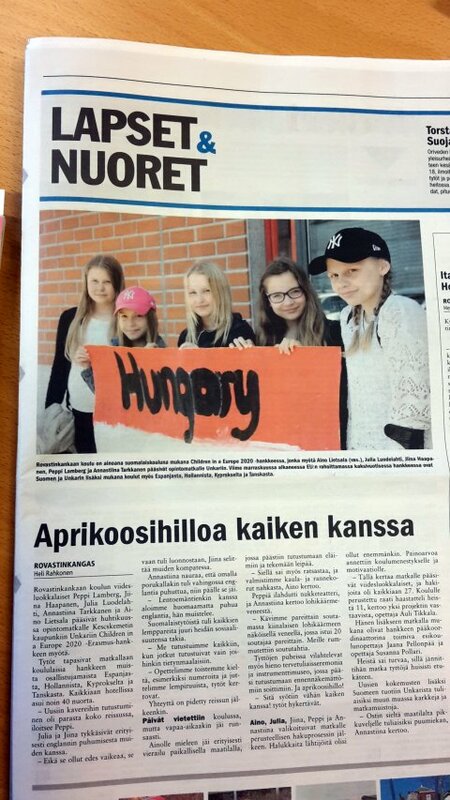 Here is our article about the meeting in Hungary in our local newspaper Oriveden Sanomat. 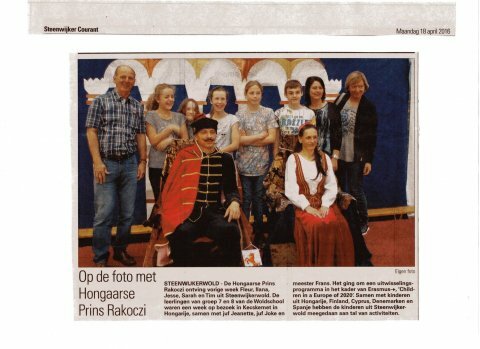 In the local Dutch newspaper was also an article about the meeting in Hungary. 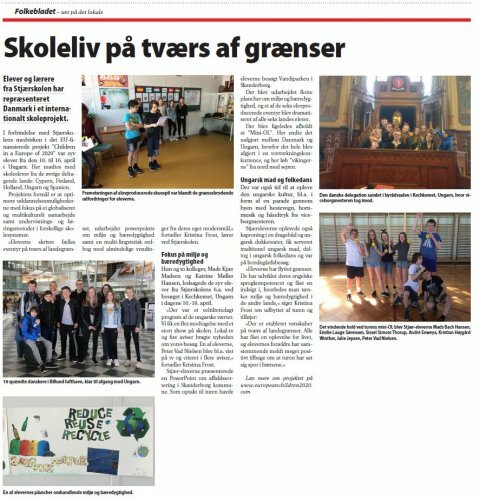 After the meeting in Hungary a local danish newspaper brought this article about the experiences the danish delegation had in Kecskemet. The headline means: "Schoollife across borders"
After the meeting in Kecskemet an online cypriot newspaper dealing with educational issues published the following articles about our programme. The articles refer to the meeting in Hungary and the activities that took place both in Kecskemet and in Cyprus.